The managing director of award-winning creative communications agency jamjar is “beyond delighted” to have been named among the Top 100 Business Women in Wales. Lyndsey Jenkins, the founder of the Cowbridge-based agency, was included in the prestigious annual list, which celebrates the invaluable impact and contribution of Welsh women in business. Ms Jenkins, who founded jamjar in 2012, was nominated following the agency’s unprecedented success over the past year, which has seen its innovative work recognised with four awards from the CIPR Cymru, and a coveted national CIPR Excellence Award. Over the past year the agency has also expanded and diversified its brand beyond traditional PR services by incorporating in-house design and videography, which culminated in a major rebrand of the agency earlier this year. 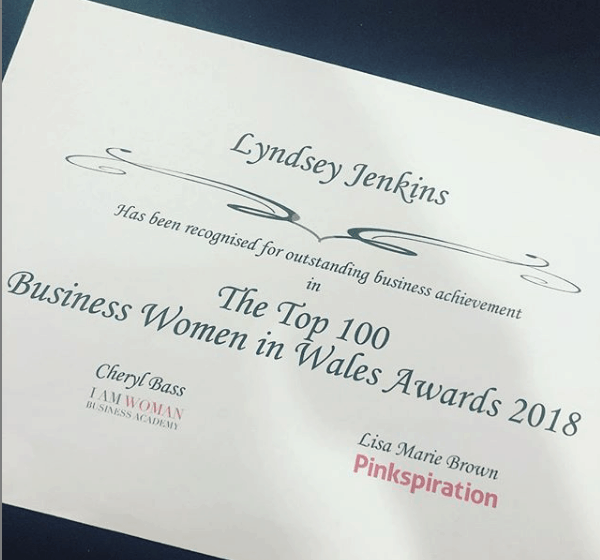 Ms Jenkins, who joined her fellow leading businesswomen at a glitzy event at the Mercure Hotel in Cardiff on Tuesday night, said it was a privilege to be recognised alongside some of Wales’s most inspiring business talents. She said: “I am beyond delighted to have been recognised among the Top 100 Business Women in Wales this year. The calibre of those nominated was particularly high, so to have been named alongside them is incredibly humbling. “I am extremely proud with the success jamjar has achieved over the past year, following our rebranding and service expansion, so to be included in this year’s list is particularly rewarding. “This recognition is also a testament to the innovative and creative work we consistently aim to create for our valued clients, which is driven by the determination and hard work of my team. Rebrand vs Refresh…and what’s the difference? In a world where attention spans are decreasing and the propensity to buy and research a company online is dramatically increasing, it is imperative that your brand remains fresh, current and reflective of your business. Just like fashion, the look of your brand identity can feel dated after a while, so it’s understandable that many businesses rashly decide that a rebrand is in order. But is a rebrand what you need? Or could a brand refresh be the answer? The difference between the two concepts can often be confusing, so having just undergone a brand refresh at jamjar, we thought it was timely to put together a blog to help clear up any confusion. But before we start, we think it’s as important to sum up what a brand is, as many incorrectly assume it’s just a logo. Your brand isn’t just your logo, name, culture or marketing efforts. Your brand is your company DNA. It’s your image, reputation, personality, point of distinction and promise to everyone who experiences it. It’s the culmination of it all that when combined work together to create a whole brand. Each piece is as crucial as the next, and you can’t have one without the support of the others or your brand will fall flat. Rebrand or Refresh – what’s the difference? We think a good way of differentiating between the two is using a property development analogy! Is it a fresh coat of paint that you need or a complete rebuild of the property? Do you need to refresh what you have to make it more current or should you “kill” the brand and start again? A rebrand is essentially a complete reworking of your brand. It’s more than a brand redefinition or even a reposition. It’s a full restart and the end of the current brand and all that it stands for. Everything from your name and aesthetics to your brand strategy will be completely different. A rebrand is the right decision when your brand can’t go on as it is. It may be due to new ownership or leadership, when your business is going in a new direction, or when your brand equity is negative or heading that way. A refresh is a makeover of the current brand. It can as subtle as tweaks to the logo to make it fresh, current and up-to-date with the direction of the company. But it can also be a ceiling-to-floor rethink of how the brand not only looks but also how it delivers, speaks and operates. The reason it’s different to a rebrand is because the brand’s DNA remains intact. The brand retains its core market position, its brand equity and values, but opens the door to change other aspects of the brand as required. To update an older brand and make it appealing to a current/new audience. Ours is a good example of a brand refresh. Our old brand was no longer fit for purpose as we now offer so much more than just PR – Marketing, Creative, Digital and Social. It was time to drop the PR from our name and get a new, fresh look. If rebranding is the answer, be mindful that it can be intensive, costly and if not done right, can go horribly wrong. A local one that springs to mind is Cardiff City. When new owner Vincent Tan took over, he decided to change Cardiff City’s brand identity as much as possible. Known as the Bluebirds, with a history of blue kits and a blue logo, when Mr Tan took over, he decided to change the kit from blue to red, along with replacing the blue bird on the logo to a red dragon. Fair enough, he was playing up to the Welsh flag, but it just didn’t make sense. To add to the confusion, Vincent Tan decided to let the team keep their original nickname and added a small blue bird to the bottom of their predominately red logo. Eeks! Not only was the rebrand costly in terms of monetary value, it also cost Cardiff City the faith and trust of a selection of their newly confused fans. Needless to say our beloved Bluebirds are now back in blue! What’s the right move for my business? Hopefully, we’ve shed some light on the difference between the two concepts. Why are we proposing a change? What would be the goal of a rebrand/refresh? What is our brand equity – good/bad? What will we be able to do as a result of this change that we have never been able to do up until now – and how do we know that? If we took a more/less radical approach, what would we gain/lose – and would that be worth it? If you need any further advice or have taken the decision to rebrand or refresh your brand and need some creative support, we’d love to hear from. We’re excited to lift the lid on our refreshed brand. We’ve been jam packed over the last few months preparing something sweet. Since we started jamjar back in 2012 the communications world has changed considerably, and consequently our services have evolved to reflect this, and the growing requirements of our clients. As a result, earlier this year we decided the time was right to refresh our brand and drop the PR from our name. When we reviewed our business, it was evident that ‘it’s what’s inside our jar that counts’ – our talented and knowledgeable team, our expertise and experience and our creative approach. Because ‘it’s what’s inside our jar that counts’ we wanted our team to play a big role in our brand refresh. Consequently, we organised a jam making workshop with Angharad Underwood of The Preservation Society where we concocted five new flavours of jam to reflect our service offering: PR, Social, Digital, Creative and Marketing. If you’re looking for design that stand-out, digital and social content that cuts through the noise, PR that boosts reputation and marketing collateral that delivers tangible results, we’d love to jam with you. Our new brand has been hand-crafted by our team and we’re delighted with the results. We hope it tickles your tastebuds! 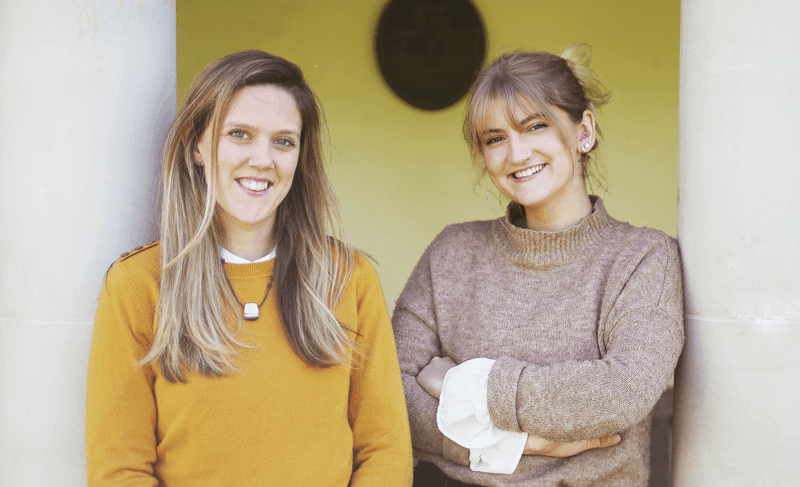 Creative communications agency jamjar has been crowned a ‘stand-out winner’ in the PR industry’s most prestigious awards. The only Welsh representative in the national awards, jamjar won the ‘Best Use of Digital’ category at the Chartered Institute of Public Relations (CIPR)’s annual Excellence Awards. Beating off strong competition from big name brands, including Facebook, jamjar’s #JoinCwmTaf campaign for Cwm Taf University Health Board was deemed the best in UK. 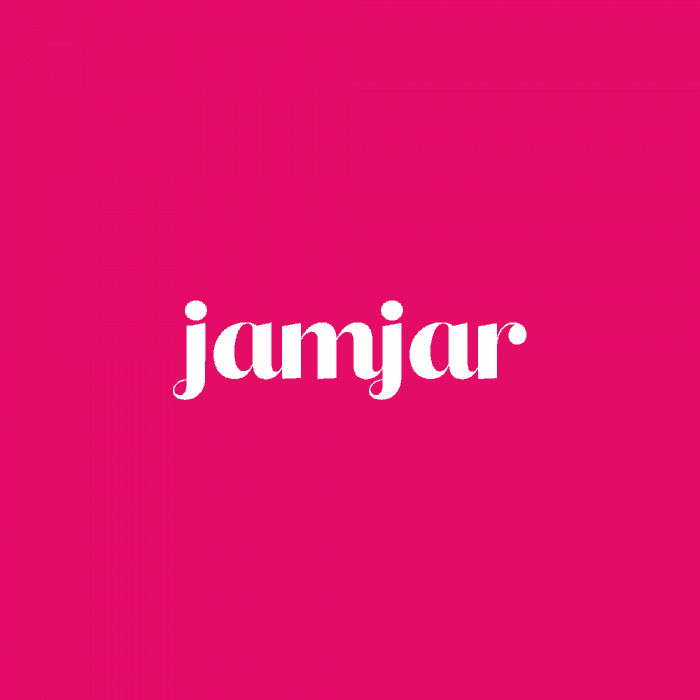 With recruitment of NHS staff a UK-wide problem with health boards competing to attract a limited workforce, jamjar developed an innovative digital campaign to attract doctors to work in the Valleys. The campaign used Cwm Taf’s greatest ambassadors, its staff, to feature in a series of videos, as well as a 360-degree video to give potential new recruits the chance to get a glimpse of what the health board has to offer. Judges praised the campaign for its research and outcomes, deeming it ‘best practice’, a ‘textbook example’ and a ‘stand-out winner’. Cowbridge-based jamjar was established in 2012 by Lyndsey Jenkins. The agency provides PR, digital, social, marketing and design support to a range of organisations including Techniquest, British Council Wales, Mrs Bucket, Sony UK Technology Centre and Merthyr Tydfil County Borough Council. 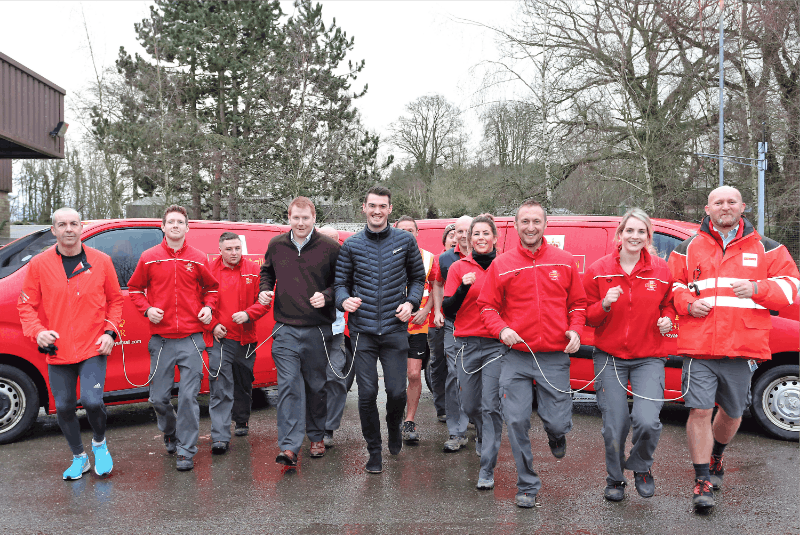 It has won over 20 awards for its work in the last six years from the CIPR, Chartered Institute of Marketing (CIM) and the Welsh Business Awards. If we thought February was a busy month, March took us all by surprise! With new clients, award shows, and our jammers taking their skills into the classroom, we’ve had plenty to shout about. January – was the month that …. Coming back after Christmas can be difficult with January blues – but being shortlisted for a Welsh Business Award certainly made it less blue! We were delighted to be named a finalist in the Excellence in Marketing and Communications category, alongside some other brilliant companies across Wales. We’re looking forward to the awards ceremony in March. Some of our brilliant clients were also shortlisted in this year’s Cardiff Life Awards! Greenaway Scott and CJCH Solicitors were shortlisted in the Legal and Financial category, Techniquest was shortlisted in the Education, and Leisure and Tourism categories, and the Wales Millennium Centre was shortlisted in the Leisure and Tourism category. We got behind the camera… This month we’ve started work on a recruitment campaign for our client Sony UK TEC. As a world-class manufacturing facility based in Wales, Sony UK TEC offers an amazing opportunity to those at the start of their careers. We asked staff what makes it such a great place to work and here’s what they had to say. We added the finishing touches to the next phase of #joincwmtaf Following on from our exciting award wins for Cwm Taf UHB, we are delighted to be supporting them once again! This month we have been working with Cwm Taf University Health Board to add the finishing touches to a new campaign targeting therapists and radiographers. It’s due to launch next month, so watch this space. We had even more great coverage! Our clients have once again been making the headlines with our support this month. Here is just a snapshot of some of the coverage we have achieved for CJCH Solicitors, Greenaway Scott, Techniquest, Oil 4 Wales, Sony UK TEC, Wynne Jones IP, Verde Corporate Finance. This month we have been working with S4C to generate applications for its new programme FFIT Cymru. FFIT Cymru will follow five people committed to changing their lifestyle. It will be shown on S4C in April 2018. The series will be presented by Lisa Gwilym along with a team of experts; personal trainer from Penarth Rae Carpenter, a dietitian Sioned Quirke who lives in Pont-y-clun and psychologist Dr. Ioan Rees’s who lives in Pen Llŷn. As part of our exciting campaign, we have had over 160 applications from people wanting to take part in the show. We now can’t wait for it to air later in the year. Y mis hwn rydym wedi bod yn gweithio gydag S4C i gynhyrchu ceisiadau gan y cyhoedd ar gyfer ei sioe iechyd a ffitrwydd newydd sbon, Fit Cymru. Fel rhan o’n hymgyrch cyffrous, rydyn ni wedi derbyn dros 160 o geisiadau gan bobl sydd am gymryd rhan yn y sioe bydd yn darlledu ym Mis Ebrill. Ni fedrwn ni aros i weld y canlyniadau! Verde Corporate Finance appointed highly experienced commercial accountant Craig Blackmore. Wales Millennium Centre audience got a surprise they’ll Never Forget! Audience members who saw The Band at the Wales Millennium Centre got far more than they expected! After watching the fantastic musical, based on the songs of Take That, Gary, Mark, and Howard themselves took to the stage for a surprise performance. We’re sure it was the Greatest Day of their Lives! Earlier in the month we shared some festive cheer with our lovely clients by delivering our Christmas survival kits in a jamjar – of course! We hope they helped get you through the party season. Our head jammer Lyndsey has been extremely busy supporting the next phase of Cwm Taf University Health Board’s recruitment campaign this month. Over the past week filming has taken place for Cwm Taf’s award-winning campaign. Cwm Taf UHB will be launching the campaign in the new year in a bid to attract more innovative Allied Health Professionals from across the UK and internationally. This month we were delighted to start working with S4C on one of their upcoming campaigns, starting next year. It’s still in the initial stages, so watch this space for more details! Our clients have once again been making the headlines with our support this month. Here is just a snapshot of some of the coverage we have achieved for Sony UK Technology Centre, Techniquest, CJCH Solicitors, and Oil 4 Wales. A Sony UK TEC engineer saw huge awards success! Sony UK Technology Centre engineer Jessica Leigh-Jones claimed three top national awards over the past month, thanks to her dedication to “inspiring a new generation of female tech talent”. She received top honours in the Manufacturer Top 100, TechWomen50, and Women of the Future 2017 Awards. Ms Leigh Jones was recognised thanks to her passion and dedication to advancing manufacturing and technology standards across the UK. We’ve been out and about supporting some fantastic shows at the Wales Millennium Centre this month. First up we enjoyed Miss Saigon’s visit to Cardiff, which was absolutely brilliant! If you’ve not seen this show, we would urge you to go. Then some of our littlest jammers got in the Christmas spirit with a special viewing of The Bear. This lovely little show was the perfect pre-Christmas treat! From all the team at jamjar we hope you have a brilliant Christmas and we hope your 2018 is jam-packed with happiness!